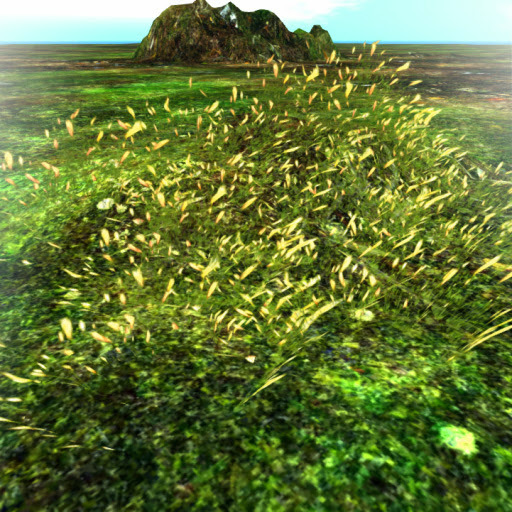 Moving Flowers Fields LandscapingField grasses are usually rezzed to provide green cover to the land. But if you desire a little fun, this fushia pink flowered Fountain grass will do the trick. Funky color for an estate created for retro fun, take and rezz all you want! Moving Flowers Fields LandscapingFor ages, this flower is used for a variety of purposes, but is mainly for rituals. 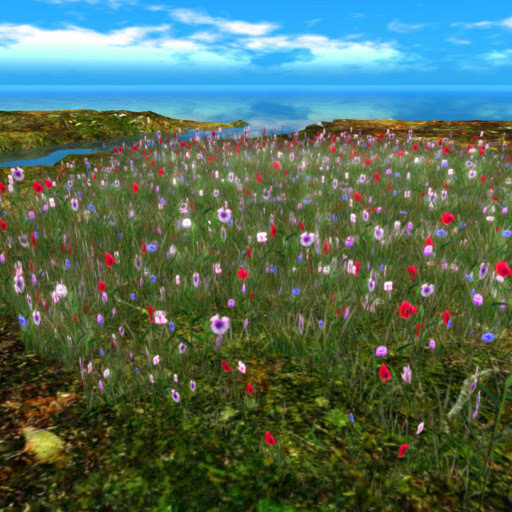 Now here in SL, you can have a chance to rezz this diminutive patch of Meadowsweet ornamental plant spread on a field, displaying its orange-red flowers. 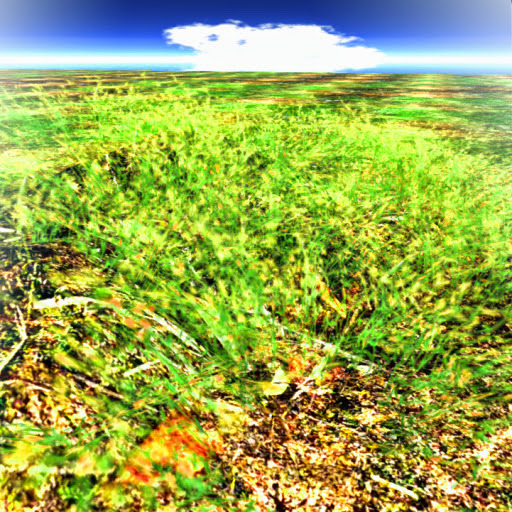 Moving Flowers Fields LandscapingAnother Dandelion variety created just for you! With white and beige colored blossoms for a more diverse color show, our Dandelions are excellent field groundcover. Absolutely free to all our beloved residents of Anshe Chung Sims and partner estates. 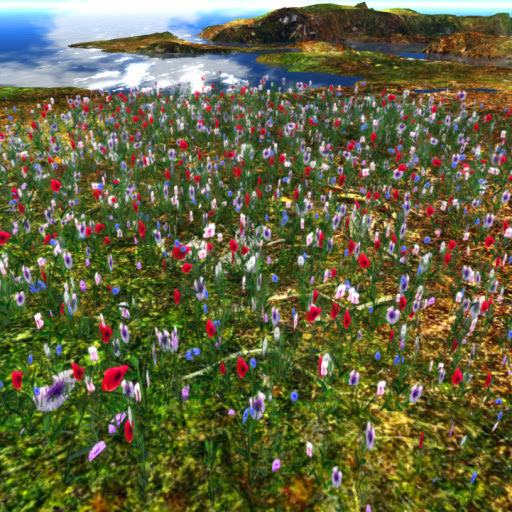 Moving Flowers Fields LandscapingField flowers at its finest, sculpted by the best in SL! 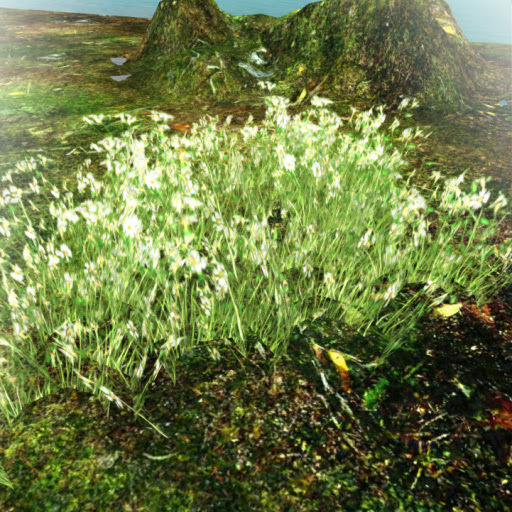 Featuring accurately recreated ornamental field of Daisies painted in an indigenous mix of white and beige inflorescence in a animated to simulate actual conditions on the field. 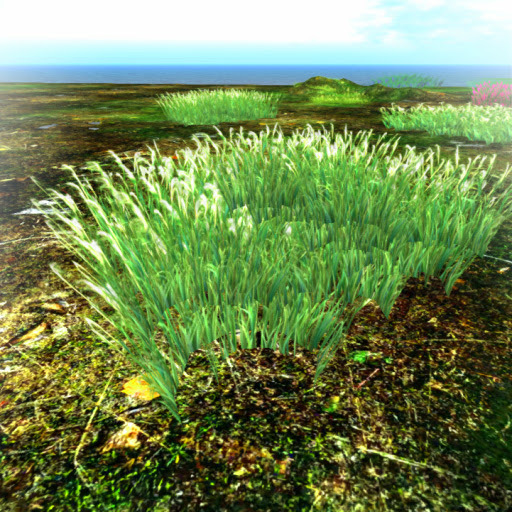 Moving Flowers Fields LandscapingField grasses are are sometimes considered a nuiance but when grasses like this Foxtail grass patch with white plume-like flowers swaying as if waving at you, well, maybe you'll think twice and turn this item as an ornamental. Free for ACS tenants! Moving Flowers Fields LandscapingMore Dandelions for your estate! 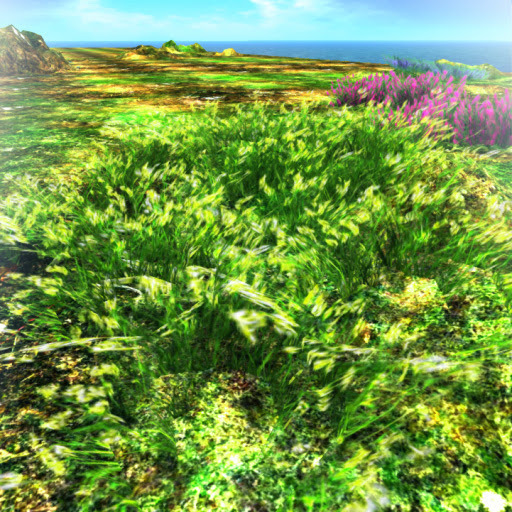 2 prims of circular field of Dandelion flowers with yellow green hues creating an atmosphere of bliss. A must for gardens and parks intended for relaxation and meditation. Exclusive item available FREE OF CHARGE to all our beloved residents of Anshe Chung Sims and partner estates. Moving Flowers Fields LandscapingEstates with summer themes must have this 2013! 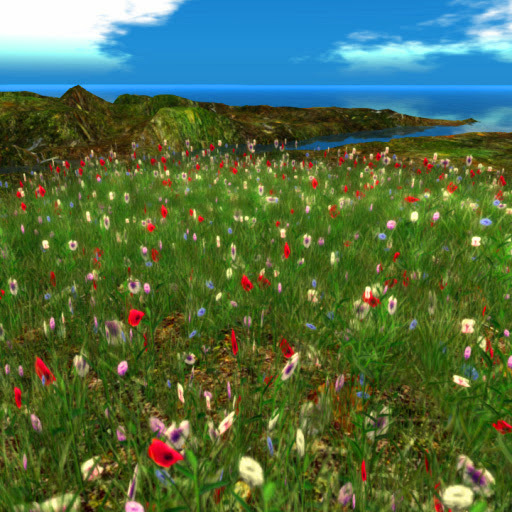 In a summer color painted grass field, this sienna red field flowers and grass patch is for gardens and parks with summer themes. Free for ACS tenants. Moving Flowers Fields LandscapingFor smaller areas needing first class groundcover with summer color, try this sienna red flowering patch of grass with mint green grass blades, all grown and designed for this purpose. Moving Flowers Fields LandscapingThe classic Dandelions in their fluffy flowers! 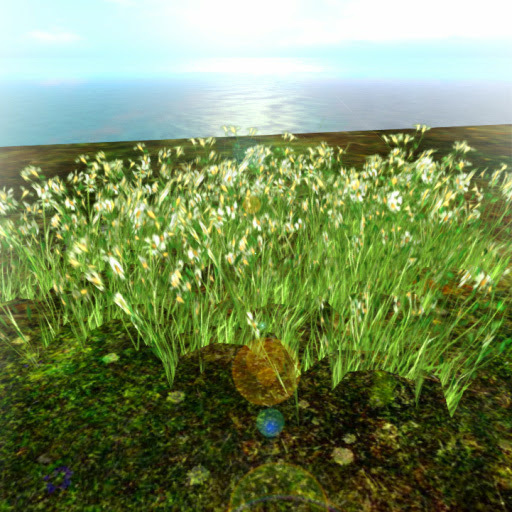 With its cotton-like flower parts in pure white colors gently swaying for a more realistic look, put it in a field and watch it do its wonders! Created in realistic three dimensional feel without the intrusion of "bubbling" from sculpts! Moving Flowers Fields LandscapingRelaxing, soothing... that's what we experience when we see a Lavender field in the real world. Here is a rare chance to bring that experience in SL! 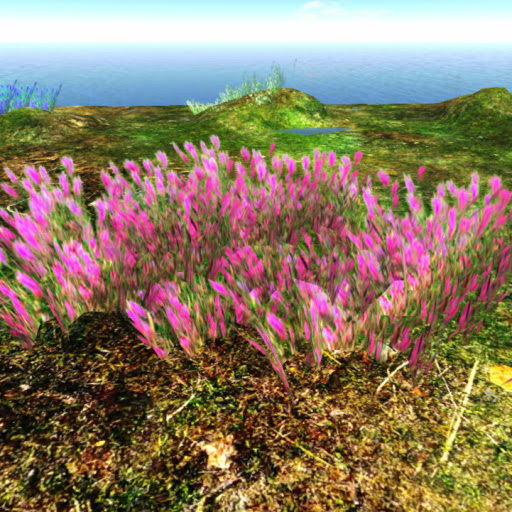 2 prims of Lavender rendered in characteristic plume flowers set on a medium-sized patch, exclusively free for ACS tenants! Moving Flowers Fields LandscapingGrasses are almost always green, but we've created an item that will match your need for the extraordinary. 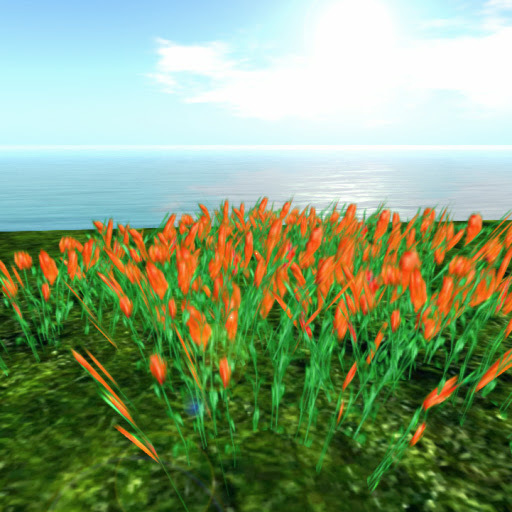 Featuring this diminutive grass turned into ornamental in a large field, all in orange flowers! Free for all ACS tenants! Moving Flowers Fields LandscapingLove orange? How about this trumpet-like orange colored flowers of the Allamanda species on a triangular patch? Enhance your attention-grabbing prowess as you rezz this in your estate, totally free for our beloved tenants! Glowing Flowers Fields LandscapingHills and mountain sides decorated with these item will surely become an eye-popping experience as this field of predominantly Meadowsweet blooms are highlighted by a smooth glow of luminous light for a more astounding effect. 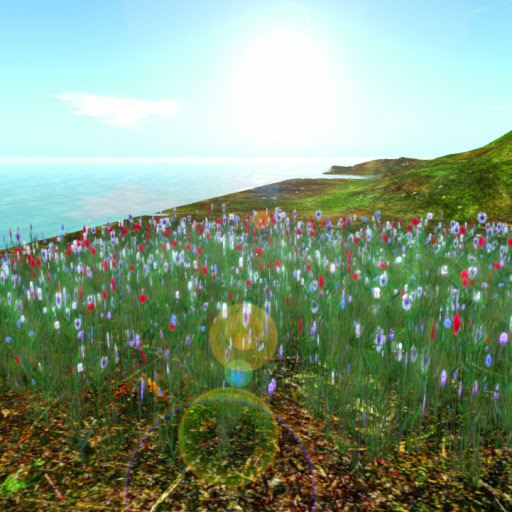 Glowing Flowers Fields LandscapingIlluminated flower fields in SL! Sculpted in outmost realism, this item features a field flowers dominated by Meadowsweets, Daisies and other ornamental flowers noted as excellent field flowers cultivated for sloping areas in need of groundcover. 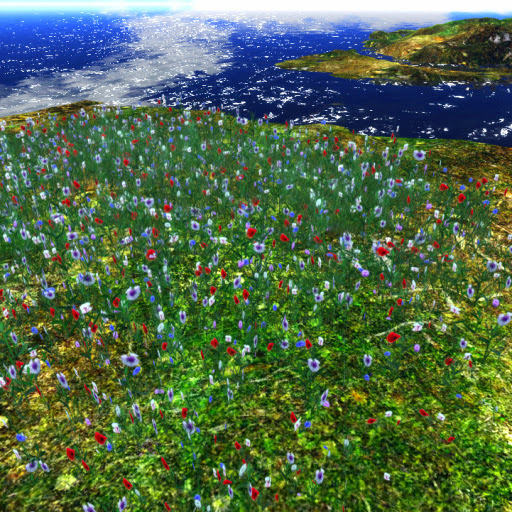 Glowing Flowers Fields LandscapingEnhance your parks, garden and homes with this premium item! Sculpt depicting a Mix of spectacularly colored Pansies, Petunias and Vandas to name a few, but dominated by Meadowsweets in alluring floral displays illuminated in emerald green when looked at a certain angle. 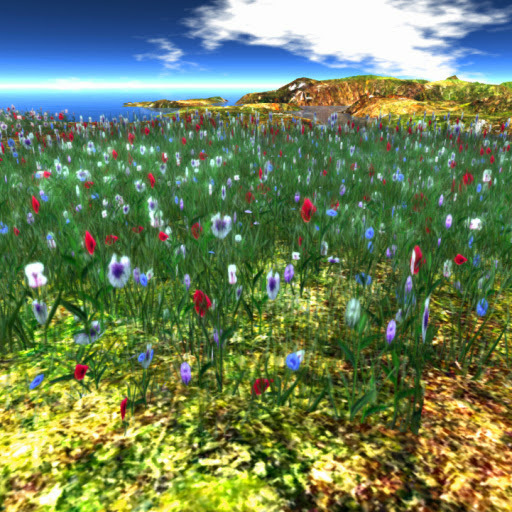 Glowing Flowers Fields LandscapingMake your estate breathe in majestic grandeur! Featuring our sculpt dominated by Meadowsweets in enticing colors and highlighted by luminous lights to promote its amazing beauty. Free for ACS tenants, so hurry now and avail this opportunity. Glowing Flowers Fields LandscapingOrnamental flowers with an attitude! 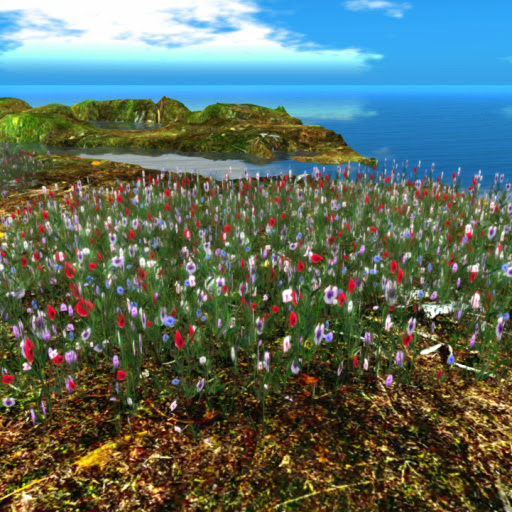 1 prim mix of field flowers provided with a luminous background light to focus on its floral displays, an absolute way to create an eye-catching decors for your estate. Glowing Flowers Fields LandscapingPatch of flowers lighted up! From several established cultivars, we modelled this item in vivid colors, surrounded by glowing green lights to give it a more tantalizing effect, and thus sure to grab everyone's attention. Glowing Flowers Fields LandscapingProvocative mix of inflorescence from different ornamental flowers but dominated by Meadowsweets all grouped for your garden with glowing green lights to emphasize the flowers' wonderful beauty. One prim of fine item exclusively free for ACS tenants! 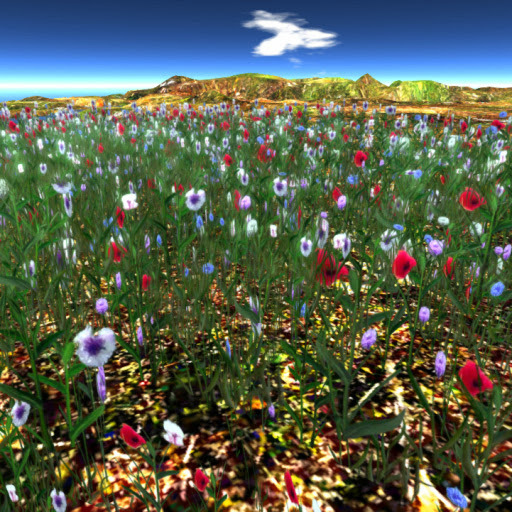 Glowing Flowers Fields LandscapingDark corners in need of illumination may benefit with this wonderful concept from ACS. Featuring a large circular patch of Meadowsweets and other ornamental plants in different inflorescence highlighted by green background lights to get the attention of the visitors of or gardens.